2008 - Year end thoughts (Part 1). 2008 was another good year for fundraising with the sum of £2,601 handed over to The Children's Foundation (Charity No. 1000013) in respect of The Pennine Challenge. Thanks to the team who accompanied me on a 44 mile bike ride and 22 mile run through the harsh terrain of the North Pennines, this took the overall total raised since I began fundraising to over £51,000. Brilliant! 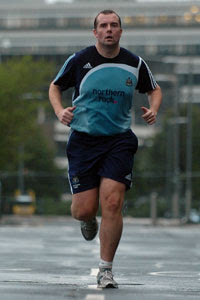 2008 was also the year in which I started training for the 3100 mile run across the USA in 2011. More importantly though, 2008 was the year where the real building blocks started to be put in place to give me the best possible chance of succeeding in the USA. And what exactly do I mean by success? Success will obviously be managing to finish the run in 1 piece in the 100 days that I've planned to do it in. The next campaign will also be considered a success if I manage to raise a considerable amount of money for St Benedict's Hospice (Charity No 1019410) and The Children's Foundation (Charity No. 1000013). The fundraising target is a very ambitious £50,000. At the time of writing there is £1395 worth of pledges on the board. That's not bad at all given that the run is still over 2 years away! I'd like to think that by the end of 2009 that figure will have nudged close to £5000. To help me achieve this I'll be continuing to sell Run Geordie Run t-shirts, selling the places in the "3000 scheme" as well as asking for conventional pledges. Also, thanks to Geordie band "The Exiles", there'll be a couple of charity songs for sale/download too. I saw the 2nd draft of lyrics back in October for the 2 songs. Both songs were superb to say the least! I can't wait to hear what they sound like when put to music. The t-shirts are selling very well indeed with all proceeds going to the 2 charities. This wouldn't have been possible without the help of Brian Wells (design), customplanet.co.uk (production), Peter McCowie (production costs) and David Fairlamb (erm......well David twisted a few arms). The first few places in the "3000 scheme" have been taken up too. It is my hope that I'll be able to dedicate each mile of the run to a lost loved one. Please click the link at the right hand side of the page for further details. As you can probably tell, I'm getting a "little help from my friends" with the organisation and support of this run. I'll talk more about that in part 2 as well as the plans for 2009. Monday 22nd December - Personal Training Session. (01:30:00). Saturday 27th December - Beach Bootcamp. (00:45:00). Saturday 27th December - 5 x run up the steps. (00:12:30). Saturday 27th December - 5 x run up the Priory bank. (00:11:05). 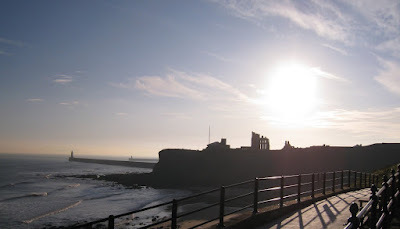 Saturday 27th December - 6 mile run, Tynemouth, pier, Fish Quay and back. (00:58:34). A very good week of training. Week 7 of training for the big run in the USA has me thinking that I'm currently well ahead of where I need to be with 2.5 years of training left. Not only that but I'm continuing to develop a whole new level of mental toughness. 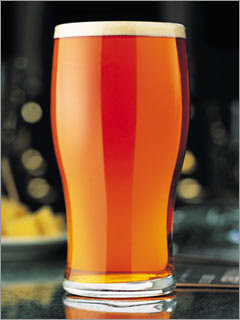 This is going to be essential to get me through the thousands of miles that I need to do between now and August 2011. Thankfully, the chest infection I had last week is a thing of the past. This week saw me bounce back with some good running and average minute per mile times coming down to below 9 minutes. I enjoyed a cracking Beach Bootcamp session on Saturday and what I can only describe as the best steps session to date afterwards. I ran 9 times up the steps in King Edwards Bay with a lot less recovery time in between each one. The burn levels were nowhere near as bad as previous weeks and Dave Fairlamb agreed at the end that this was the best attempt yet at what is a difficult explosive style session that gets my heart rate near the red zone every time! It should have been 10 times up the steps but Dave said that if I could beat a passing female jogger who was running up them (with a good head start) then I could drop one. 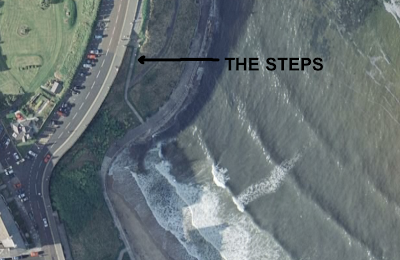 This week's steps session drew the largest team of people ever to attempt it since I've been doing it. Each person took it in turn to accompany me on each attempt. The encouragement and support from each one of them was brilliant as ever. At the end, my legs were a bit shaky but that didn't stop me from doing a 5 mile run from Tynemouth Beach to Spanish City and back. It was slow on the way out with a toilet stop at the lake (the toilet's at the lake not the lake itself by the way!). I got just past Spanish City when my GPS watch read 2.5 miles. I was much quicker on the way back with the last 2 miles around the 9 minute mark. It was one of those runs where I felt I could have gone on for loads more miles. All in all, it was a very good couple of hours of exercise. The plan now is for a run to become part of the Saturday morning routine after Bootcamp and the steps. There is no festive rest and the next session is this weekend. 6 miles will be on the cards this time. I might be running to Blyth and back by the time the Summer comes! Monday 15th December - 6 mile run, Town Moor. (00:53:34). Tuesday 16th December - 5 mile run, Race Course. (00:44:30). Tuesday 16th December - Spinning. (00:45:00). Tuesday 16th December - Body Pump. (01:00:00). Thursday 18th December - Personal Training Session. (01:30:00). Saturday 20th December - Beach Boot Camp. (00:45:00). Saturday 20th December - 9 x run up the steps. (00:22:08). 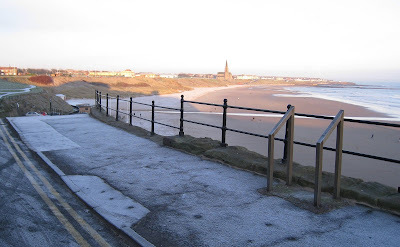 Saturday 20th December - 5 mile run, Tynemouth to Whitley Bay and back. (00:51:20). Monday 8th December - 5.2 mile run. (00:52:40). Monday 8th December - 4.8 mile run. (00:49:43). Tuesday 9th December - 5 mile run. (01:02:12). Thursday 10th December - Personal Training Session. (01:30:00). Saturday 13th December - Beach Boot Camp. (00:45:00). 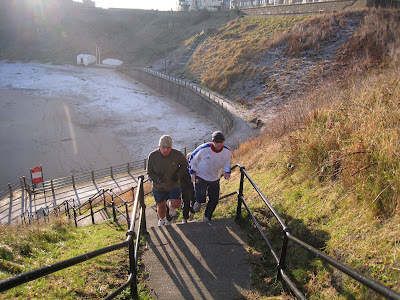 Saturday 13th December - 7 x run up the steps. (00:14:12). I don't want the dedication to lost loved ones to stop there, however. I want to open up this event to as many people as I can. Apart from the obvious effects of raising 10's of thousands of pounds for the 2 charities, it is my sincere hope that this run will have as far reaching an effect as possible and will serve to inspire and to give hope and comfort to as many people as possible. I know from the 1000's of emails I've received over the last 18 months, just how much last year's run and the cause I was running for meant to all of those people who got in touch. It soon became apparent that for every 1 runner like me, there are thousands of stories of great loss but usually great inspiration also. Hopefully, all miles will be dedicated but one thing is fore sure, it will be an honour and a privilege to run in the memory of all of those people who are sadly no longer with us. Thanks to the generosity of Peter McCowie, who has offered to foot the bill for production costs, the entire proceeds from the first batch of t-shirts will be split between St Benedict's Hospice and The Children's Foundation! Superb! I've just met Peter recently at the Beach Bootcamp sessions on a Saturday but he is no stranger to the cause. 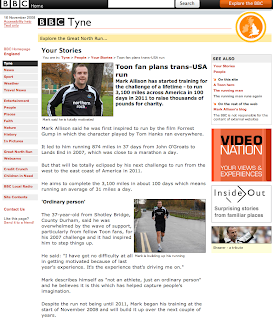 Peter was one of the sponsors of last year's run, finding out about the event via nufc.com. The t-shirts are being printed today and I'd like to say a massive thank you to Peter, David Fairlamb, customplanet.co.uk and Brian Wells for their help. I was 10 miles into this week's 50 mile schedule when a nasty chest infection took hold. I still had a go at yesterday's 5 mile run but it was a useless attempt. I managed to do 1 mile on the very icy paths of Gosforth. The cold caused a bit of pain in my chest and throat so I did the last 4 miles on the treadmill in the gym. I seemed to have very little energy so the whole 5 miles took over an hour to complete. It was only when I had a sauna at the end of the session that the pain went. I'm listening to my body today and therefore won't be doing the planned 10 miles. Hopefully, I'll be running again by the weekend though. It's been a long while since a chest infection has caused me to rest up. Given, the icy cold conditions I've been running in recently perhaps this was inevitable. I can't wait for the Summer! Monday 1st December - Spinning. (00:45:00). Tuesday 2nd December - Personal Training Session. (01:15:00). Wednesday 3rd December - 7 mile run, Race Course Forest. (01:07:40). Thursday 4th December - Spinning. (00:45:00). Thursday 4th December - Body Pump. (01:00:00). 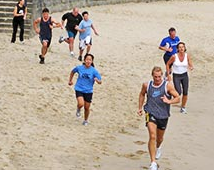 Saturday 6th December - Beach Boot Camp. (00:50:00). Saturday 6th December - 10 x run up the steps. (00:25:13). I received the t-shirt artwork from designer, Brian Wells, today. To say I'm pleased with the design is an understatement! I'm also pleased to report that I've taken pre-orders for almost all of this first batch of t-shirts. The sales from these will yield over £300 for the 2 charities. I'll keep you posted with news of exactly when they become available to buy and how to pay for them.I don't think it's too far off now. In the meantime, check this awesome artwork out. I had a body composition test this week with Mark Fleming and I must admit I was dreading it beforehand! Despite giving up booze, takeaways and bacon sarnies I think there is still room for improvement in my diet. It's going to take time but I'm definitely heading in the right direction. Anyway, imagine my delight when I found out I'd lost 6 pounds of fat this month! That's 12.5 pounds of fat lost since pre-training began in September! I've also gained 1.75 pounds of muscle this month and that's almost 3 pounds gained since September. My metabolic age (in simple terms, that's the age your body thinks it is) was down to 45 from 52! Excellent! I'm getting younger! 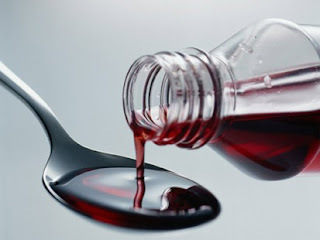 There were also noticeable improvements in other areas such as total body water and the Visceral Fat Rating (fat around major organs) was down to 9. According to Wikipedia "Visceral fat, also known as organ fat or intra-abdominal fat, is located inside the peritoneal cavity, packed in between internal organs. 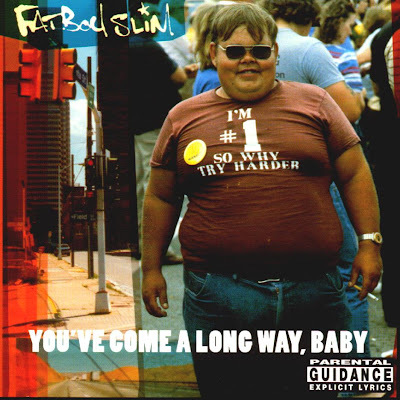 An excess of visceral fat leads to the "pot belly" or "beer belly" effect, in which the abdomen protrudes excessively". Wikipedia also has the following to say about the "Sit Ups Myth" - "There is a common misconception that spot exercise (that is, exercising a specific muscle or location of the body) most effectively burns fat at the desired location, but this is not the case. Spot exercise is beneficial for building specific muscles, but it has little effect on fat in that area of the body, or on the body's distribution of body fat. The same thing applies to sit-ups and belly fat. Sit-ups and other abdominal exercises are useful in building the abdominal muscles, but they have little effect on the adipose tissue located there. In order to burn fat, one must take part in aerobic exercises.". Hmmm.... Very interesting! All in all it was a pleasing set of stats and proves to me that the first 4 weeks of USA 2011 training have been a success. The real challenge is going to be to follow that up this month, next month and every month for the next 3 years! There seems to be a lot of "the toughest" ever this, that and the other at the moment. This label isn't something I'm just casually associating with a workout that I happen to find difficult. It is testament, I think, to how hard I'm pushing myself and more importantly how hard I'm being pushed by others. Namely, David Fairlamb and Mark Fleming. 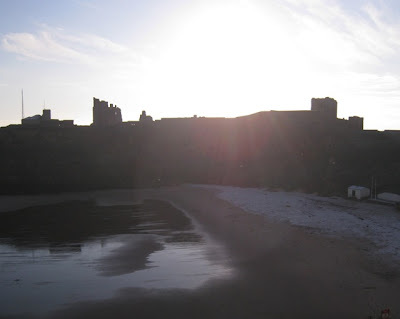 Yesterday's Beach Bootcamp (pictured in simple form) made use of a different part of Tynemouth to previous weeks with the very scenic Priory providing the backdrop to a session that included 3 miles of running (at various speeds) and a tough arms session. Apart from the bikinis and hot weather, the whole thing reminded me of something you'd see on Aerobics Oz Style! You couldn't get a more perfect setting for a nice wintry workout! The steps session at the end of Beach Bootcamp, aided by the now traditional posse of Bootcampers, left me in such a state. And I mean a right old state! I was as white as a sheet according to Mark Fleming. 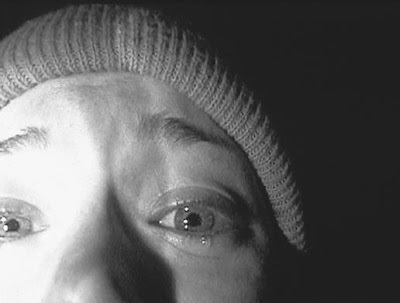 I just lay there in the freezing cold with legs feeling like jelly and a very sickly feeling in my stomach. It was like nothing I had experienced before. In fact I've never even come close to this in any Marathon, long distance run or gym class. That was after 8 sets! This week David said that we would be doing 10 sets! After the 8th, I muttered those not often muttered words - "I can't do any more"! I was half expecting a reply along the lines of "Ok, you've done well with those 8, we'll leave it there.". However, I don't think this is ever going to be the way things are done with David and Mark so set 9 was done with jelly legs and a sickly stomach and the promise that I could take as long as I wanted before setting off on the 10th. A couple of minutes rest was needed before setting off on the 10th. I was like Shakin Stevens on the way down to start the final set! Without too much pause for thought I started the final set. When I got to the top, I didn't know whether I should pass out, be sick, cry or just fall asleep on the top step! It was a good 3 or 4 minutes before I was able to walk again. It took me the full day to recover from the steps! Not physically though! I found myself emotionally drained from the whole thing! I think David and Mark are starting to learn a lot about me and what I'm capable of. I've certainly learned a lot about them. They both demand nothing less than 100%. This is proper training this is! I've been getting more t-shirt details from the designer today and we have decided to go for a screen printed finish. This method is far more durable than conventional heat transfer and will last much longer without fading. I'll be putting these t-shirts through their paces in the gym and on the road over the coming months so we felt it would be a good idea all round to have a better quality finish. 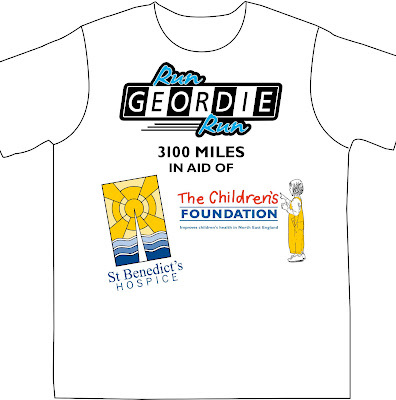 The front of the t-shirt will feature the RUN GEORDIE RUN logo followed by the words "in aid of" and then the 2 charities logos. 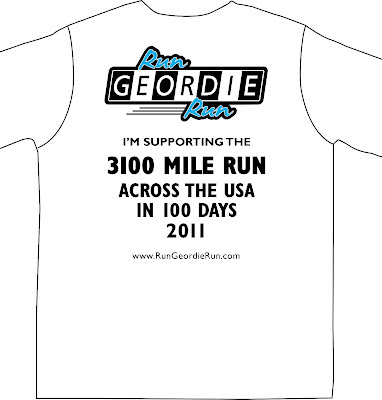 The back of the "supporters version" of the t-shirt will have the RUN GEORDIE RUN logo followed by the words "I'm supporting the '3100 mile run in 100 days across the USA, 2011'". The Custom Planet and David Fairlamb Fitness logos will be on each sleeve. I can't wait to see the artwork before it goes to print and rest assured that I'll put it on the blog when I get it. I'm so pleased that the printer (Custom Planet) have waived the screen setup price (which isn't always cheap), the designer, Brian Wells has not charged for his time and we've settled on a price of £10. This means that £7.70 will be donated to the 2 charities for each t-shirt sold! That's £3.85 to St Benedict's Hospice and the same amount the The Children's Foundation. Brilliant! In relation to the t-shirts, I received the following email today from a lady named Alyson. It is an important and timely reminder as to why I'm doing all of this and how important the funds that are being raised are to their recipients. ".....we would like a couple of t shirts, we have seen first hand what the charities you are raising funds for can help a child. Our son was born 5 years ago with a rare chromosome deletion and we have just had to rely on charities in making his life more comfortable.. what you are doing is fantastic. keep up the good work, take care and keep healthy.". Emails to register your interest should be sent to sponsorship@rungeordierun.com with details of quantity and size. Don't worry, this is not a commitment to buy, but it does help me and the printer gauge the likely quantities and different sizes needed. Excellent progress being made in training! I'm now 4 weeks into the training schedule for USA 2011 and I genuinely feel that things could not have gone any better so far. Things are going so well on all fronts! Have I made my point yet? Firstly and most importantly, I'm managing to get all of the required running, gym work and gym classes in. My routine has really settled down and even if it means not getting in until 19:30 most nights at least I make it in time for story time! This also means that every minute I'm not training is so very precious and spending quality time with Katy and Jack is of the upmost importance. For instance, I was ever so proud when Jack (pictured) and I went for a run on Saturday morning. We managed 1 and 3/4 miles on the Derwent Walk. That's not bad at all for a 5 year old and after he'd played tennis for 45 minutes. Hopefully, we'll be able to repeat that distance this coming Saturday. Anyhow, I digress! 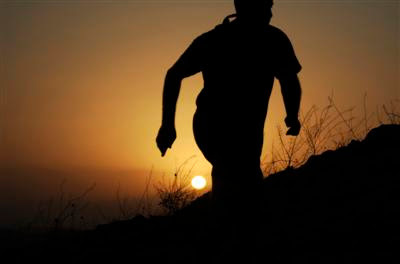 Being motivated enough to get out and run has never been a problem. I usually have some good running company and recently, colleague and fellow season ticket holder, Carl Hudson has been dragging me round (not literally!) various routes on a lunchtime. His company was especially valued in week 1 and 2 when my speed wasn't at it's best but he stuck with me and 4 weeks later I have started running at a respectable (for me!) pace again. Likewise, gym classes have always been enjoyable and again I've never had a problem getting the motivation to do a spinning class or boxercise and now I've started to do Body Pump. The instructors at the Northern Rock gym are top class and always seem to be able to push me to my limit. The problem I have had in the past though was attending the gym proper. It's not been unusual for me to do 5 or 6 classes a week but trying to get into the gym has been a real issue. Thankfully, David and Mark have helped out on this front with some advice and a schedule and getting in the gym is now something I look forward to. In fact, I'm looking forward to a session in David's gym with Mark this Thursday. I've got a feeling that one is going to be tough but I hope they are going to be able to see the progress made since I last had an assessment 4 weeks ago. Put it all together and I've got plenty of training options. I'm not likely to get bored! I've never been so determined to train as hard and as long for anything in my life. And that includes last year's run from John O'Groats to Lands End. There is something quite different about this run. I think it may be the fact that I know the size and scale of what lies ahead (and it's not my stomach for a change!). I know how great the potential rewards are for completing this one. The ultimate reward will be handing over sizable cheques to St Benedict's Hospice and The Children's Foundation. I'm going off on a tangent here but stick with it. I'll get back on track in a minute. Already, I can tell that the interest in the event, even at this early stage, is starting to grow and gain momentum. Appearing on the front page and page 3 of the Journal last week was fantastic. Also, I was at a bit of a do last Thursday. A lot of people there, knew who I was and what I was planning to do and some had seen the Journal article. I was a little bit embarrassed at times with the praise that was sent my way. No really I was! Anyway never mind that! Without going into too much detail, that Do, by the way, was one of the most amazing nights I've ever had. To say that I was inspired by the people who were at the centre of the night is an absolute understatement. It was a privilege to be there and I've had a spring in my step ever since. Where was I? Ah yes. The training is going well! Did I mention the fact that training is going well? That's only half the story. The other bit to all this is my diet. And not just my diet but my changed attitude towards food in general. I'm now into the 3rd week of healthy eating. As I mentioned a couple of weeks ago, David and Mark provided the inspiration and ideas for a structured eating plan and Katy has prepared and cooked most of it. Today was a textbook day in terms of eating and having enough energy to do the required amount of exercise. 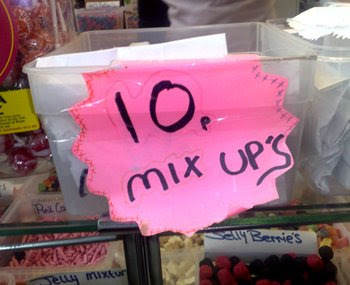 I started off with the usual porridge and raisins. Lunchtime saw me run 5 miles in 00:46:05. I felt strong throughout and brilliant at the end. In fact, I probably had a quicker run in me but I'm happy with that time. I followed that run up with a baked potato and beans. That was enough energy to be able to do 50 minutes in the gym followed by a tough spinning class. I rounded off the day with roast chicken and vegetables followed by meringue and fruit. Not a chocolate bar or bag of crisps in sight. Nor the usual cravings for them either! Well I hope you'll agree that things have started off on a really good foot. I've just got to keep on keeping on, as they say. Long may it continue.